The purpose of the Mission is to glorify God by making disciples of Jesus Christ. To this end we share and demonstrate God’s love through the power of the Holy Spirit by meeting basic spiritual, emotional, physical and educational needs of those in Mexico and beyond. This will be done in such a way as to establish the Mission as a model of effective ministry for other parts of the world. 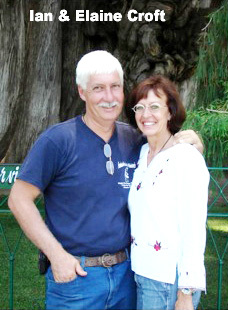 Ian & Elaine Croft are missionaries sent out by the Wetaskiwin (Alberta) Full Gospel Fellowship who have spent the last 6 years helping to develop this missionary base in Oaxaca, Mexico. 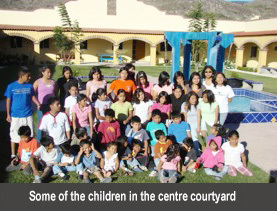 Ian and Elaine moved to Tlacolula de Matamoros in Oaxaca, Mexico in January 2003 to work with HOGAR PARA NIÑOS NECESITADOS CRISTO POR SU MUNDO A.C. 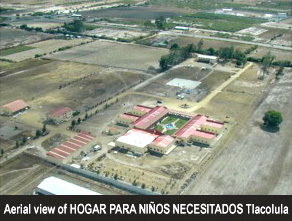 This is a home for children operated by Foundation for His Ministry. 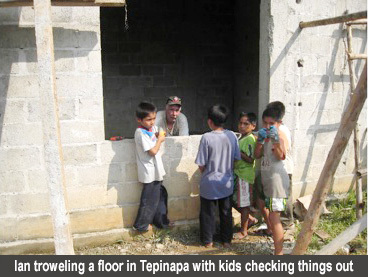 Though Ian works primarily in construction directly on the mission site and also in small outreach projects into the mountains of Oaxaca and Chiapas, he is also involved with the leadership team overseeing the ministry in Oaxaca, and with the accounting department. 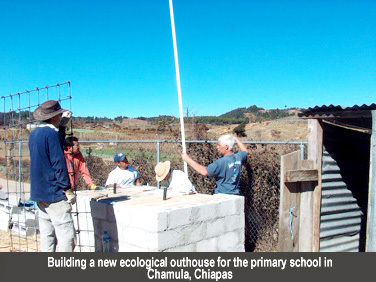 The base in Oaxaca is located in a rural area outside of the town of Tlacolula about 38 kilometers east of Oaxaca on the Pan American Highway. Situated at 5370 feet above sea level, the children’s home is newly constructed and there are hopes to begin construction of an international school in the near future. 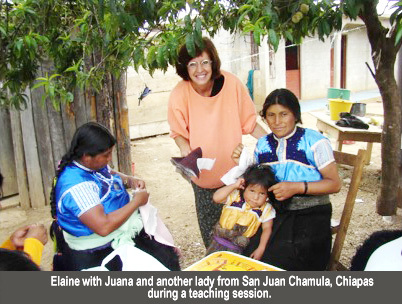 Elaine started a ministry amongst women teaching them sewing and quilting. She works with staff and older children in the home, women from our neighboring community and with the local prison inmates. 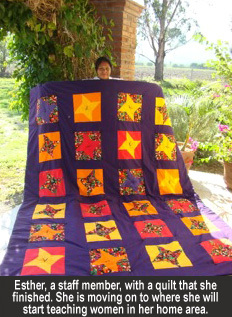 She also does outreach workshops to communities in Oaxaca and Chiapas where she has incorporated sharing the gospel with quilting. 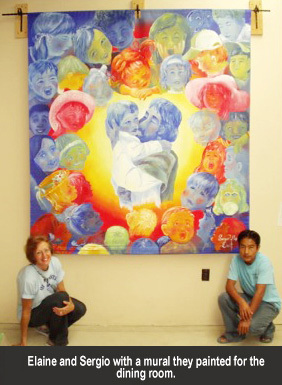 Elaine also teaches art to the children in the home. 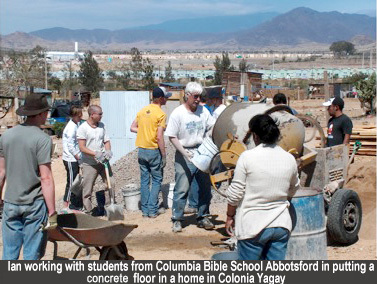 Ian works primarily in construction directly on the mission site and also in small outreach projects into the mountains of Oaxaca and Chiapas. We plan to continue expanding into the ministries we have been working in. 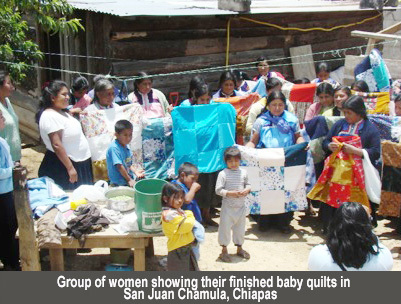 Elaine will continue ministering to women throughout the area using quilting to open doors. 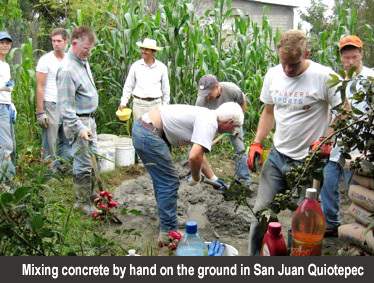 Ian will continue with construction and outreach projects. 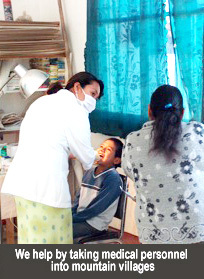 He would also like to see more medical outreaches into the outlying areas as these are often forgotten people.